Situated by the ocean, this cabin is 0.7 mi (1.1 km) from Moonta Bay Jetty and within 3 mi (5 km) of Port Hughes Jetty and Moonta Mines Railway and Museum. if you're thinking about visiting Moonta Bay, it would be clever to get organising weeks in advance. There's only 1 hotel within 10 kilometres. The Port Hughes Tourist Park might be your only option if you have your heart set on staying close to the hustle and bustle. If you find yourself searching for more accommodation options in Moonta Bay, consider the Wallaroo Marina Apartments and the Anglers Inn. They are 16 kilometres and 16 kilometres away from the center. 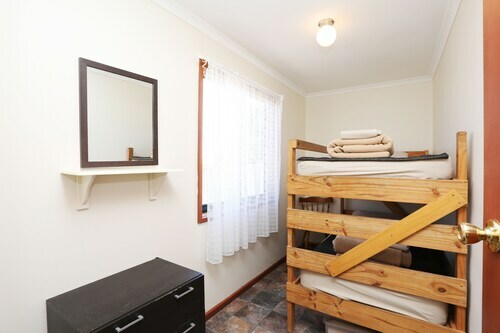 Wotif also suggests the Redwing Shearer's Quarters and the Kadina Gateway Motor Inn. The first is 20 kilometres away from the center, while the other is 18 kilometres away. After you've hung out in Moonta Bay for a while, explore Clare Valley - Yorke Peninsula's other delights. Check out the farms in Clare Valley - Yorke Peninsula, or admire the region's lovely rural landscapes and beaches. In this part of Australia, travellers may try shore fishing. If you'd like to explore some nearby cities, think about Boconnoc Park and Stansbury. Travel 95 kilometres to the east from Moonta Bay and you'll find Boconnoc Park. Alternatively, Stansbury is 95 kilometres to the south. Hotels in Boconnoc Park include the Brown's House Bed and Breakfast and Patly Hill Farm. Stansbury choices include the Oysta La Vista and Stansbury Holiday Motel. Situated 110 kilometres from Moonta Bay is Whyalla Airport. 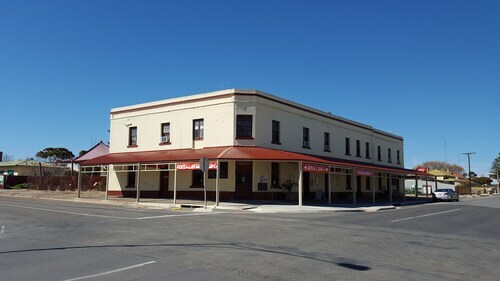 Stay nearby at the Best Western Alexander Motel Whyalla or the Airport Whyalla Motel. How Much is a Hotel Room in Moonta Bay? 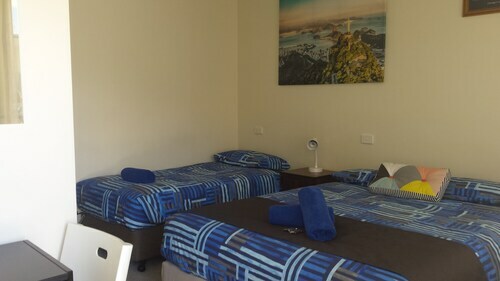 Hotels in Moonta Bay start at AU$64 per night. Prices and availability subject to change. Additional terms may apply.